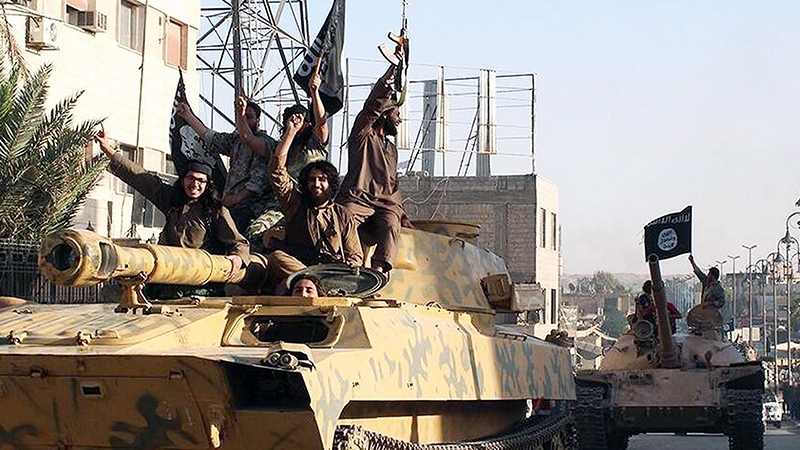 An estimated 60 individuals who have fought with terrorist organizations overseas are currently back in Canada, according to Canada's top intelligence agency. The Canadian Security Intelligence Service Director Michel Coulombe told a Senate national security committee on Monday that about 180 individuals "with a nexus to Canada" are fighting with terrorist groups overseas. About 100 of them are in Iraq and Syria. Coulombe noted that the number of individuals who are suspected of having returned from fighting overseas has dropped to 60 from 80 individuals that CSIS said it was monitoring in 2014. 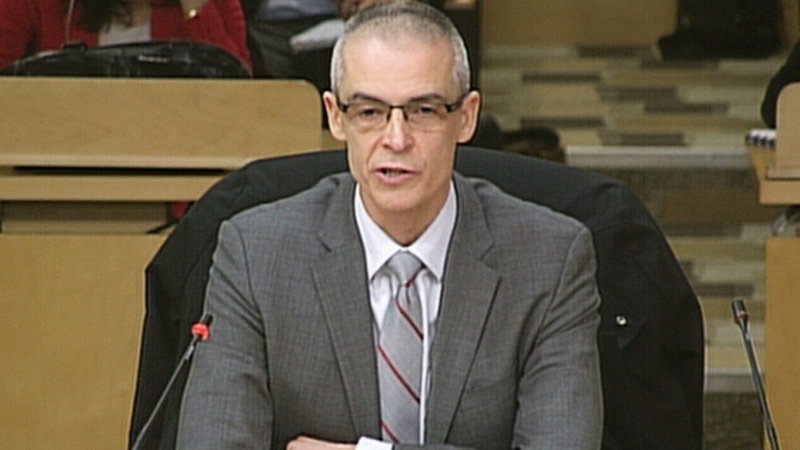 Canadian Security Intelligence Service Director Michel Coulombe speaks at a Senate national security committee, in Ottawa, Monday, March 7, 2016. He said some of those individuals have since left Canada again, while the agency determined that others were not actually involved in terrorist activities after further investigation. Coulombe added that an estimated 90 to 100 individuals in Canada are looking to leave the country to fight with terrorist groups overseas, but he noted that the number is very difficult to track. "There are a number of people who, actually, we learn of them leaving after the fact," he said. "So that number does not capture the actual scale of the phenomenon." Mubin Shaikh, a former undercover counter-terrorism operative for CSIS and former national security agent for the RCMP, told CTV News Channel later on Monday that the total number of Canadians fighting overseas is likely "a bit higher" than the one offered by Coulombe. "These are the numbers the government knows for sure. I suspect the numbers are probably higher based on people who have gone whose parents may not have notified the authorities (and) who we just don’t know are over there," said Shaikh. When asked why the 60 or so individuals who the agency suspects have returned to Canada after fighting overseas have not been charged, Coulombe said having information about threat-related activities does not necessarily mean that the charges can be laid in Canada. "The threshold for us to launch an investigation, and the threshold to charge somebody under the Criminal Code, there's a fair bit of a difference here," he said. "Being able to prove that the person was actually in Iraq or Syria fighting or financing (terrorist groups)…is a difficult task." Shaikh echoed Coulombe's statement, saying the only certain way to ascertain evidence would be to embed an undercover agent in ISIS, which create its own set of issues. "But if you have someone undercover in ISIS, what kind of acts have they done to maintain their cover? Would that be somebody who can stand a cross-examination in court?" said Shaikh. Shaikh said security forces in Canada are often left with two options for dealing with individuals who returned from overseas: monitor them for more intelligence and evidence of criminal wrongdoing; or encourage accepting an amnesty and getting involved in a "counter-messaging effort." However, Coulombe stressed the importance of trying to prevent potential terrorists from leaving the country in the first place. "I truly believe, as a country we have an obligation to prevent Canadians from leaving this country in order to conduct terrorist-related activities, and killing people overseas," he said. Coulombe said about 55 per cent of CSIS's budget is spent on counter-terrorism. Shaikh said that the best counterterrorism strategy utilizes CSIS' surveillance and the RCMP's policing and evidence collection along with "community-based interventions and counselling." "There needs to be enforcement approach but there also need be an NGO community-driven approach free from government experience," he said. "There's a stuff being done very quietly that doesn't get a lot of fanfare and press, but there's a lot of imams that have realized that something needs to be done. Young kids are being lured away by predators." When asked about any potential security threat regarding the 25,000 Syrian refugees that Canada has brought into the country since November of last year, Coulombe said he's confident in the screening process those individuals underwent before entering the country. He said if any "red flags" came up during the screening process, that individual's file was not considered. Coulombe also noted that the refugees entering Canada are "totally different" than the migrants flowing into Europe, as those individuals are not undergoing any type of screening before entering Europe.